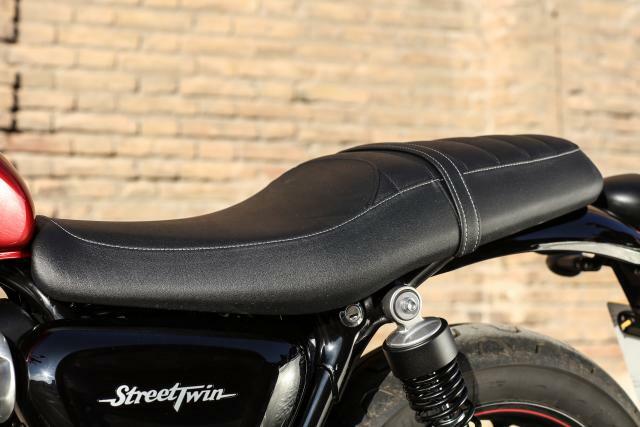 The Kayaba suspension (pre-load adjustable at the rear but not the front) is quite soft, but composed and soaks up bumps without any fuss, and the Street Twin has a plush, comfortable ride. 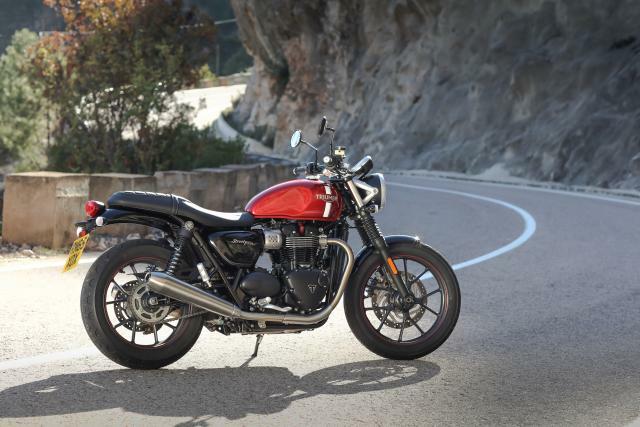 During the initial 20 minutes heading out of Valencia city and into the surrounding hills, I assumed that as the road got more sinuous, the softness would equate to a wallowy ride but the Street Twin wasn’t fazed by having to negotiate winding and flowing sections of tarmac. 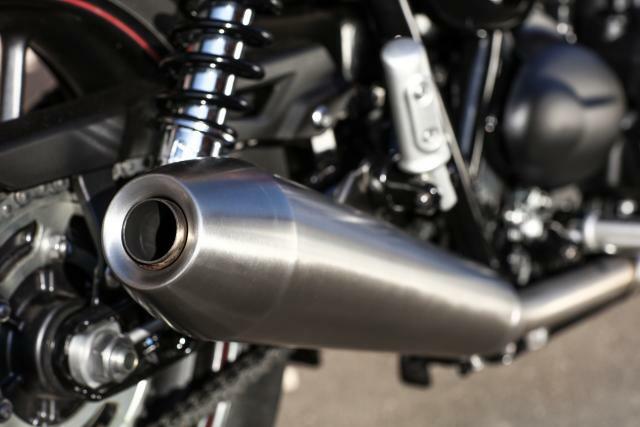 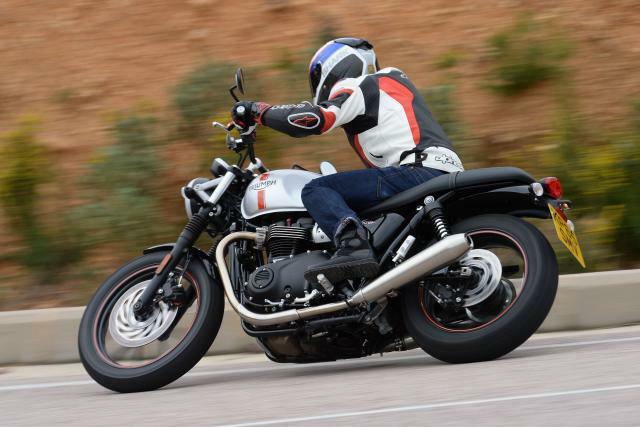 The forks and shock handle the bike’s weight well and with its comfortable ride position the Street Twin feels nicely balanced, and is as easy to boss around at slow speed as it is to shove through a set of fast or winding corners. 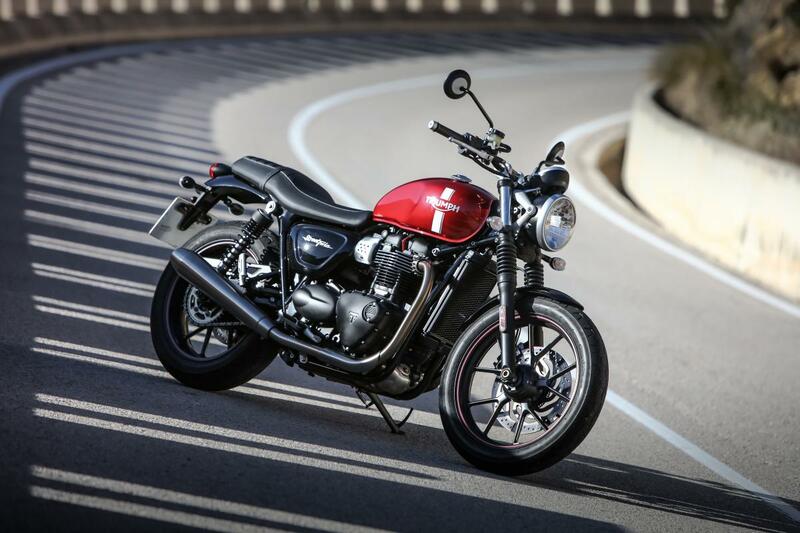 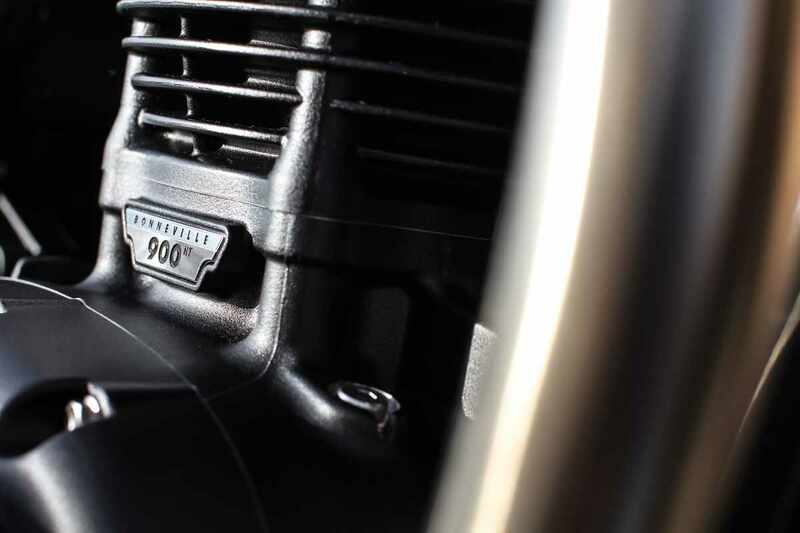 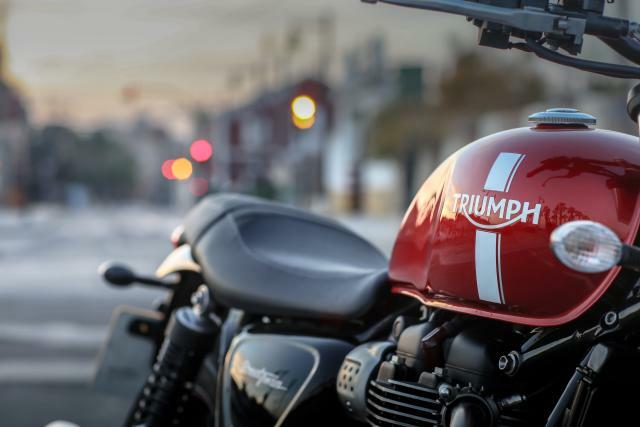 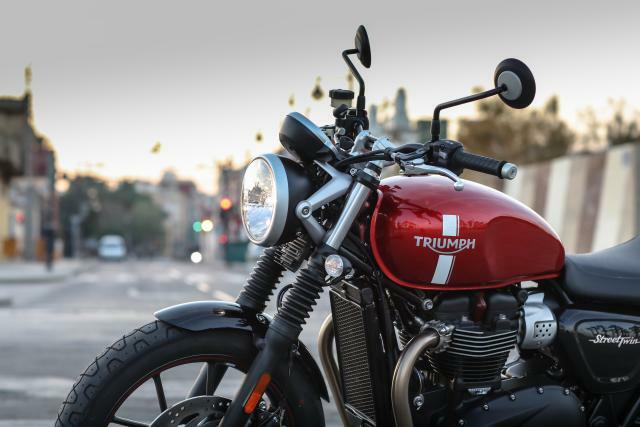 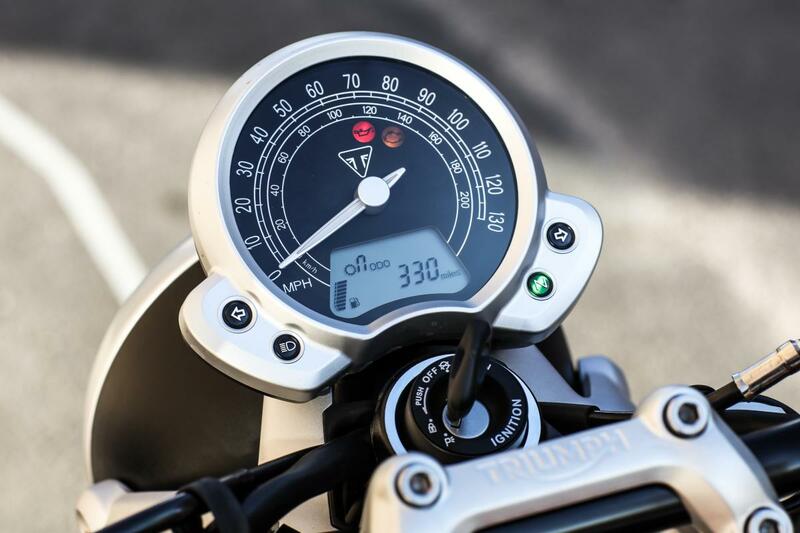 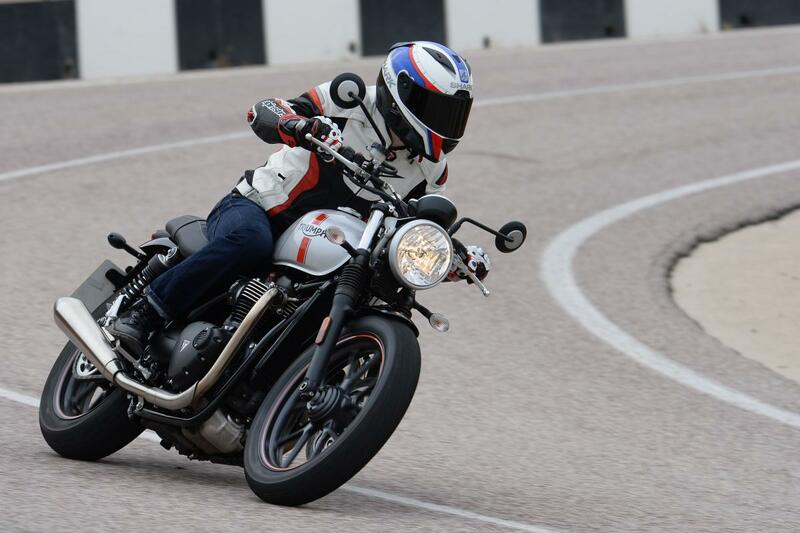 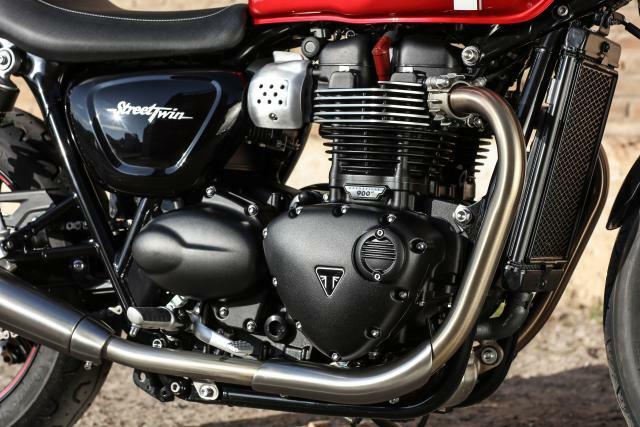 Triumph is partly aiming the Street Twin at younger and less experienced riders and have included a couple of features that are intended to make it safer and easier to ride. For safety there’s the traction control system. It’s got two settings: on or off, and will undoubtedly provide peace of mind for some of the Street Twin’s potential buyers, although I never felt the bike's power was enough to need TC. I was trying to see if I could get it to kick in while gassing it hard off roundabouts but the roads were dry and the Pirelli Phantom Sport Comp tyres (developed specifically for this bike) gripped well and I couldn’t detect it kicking in. 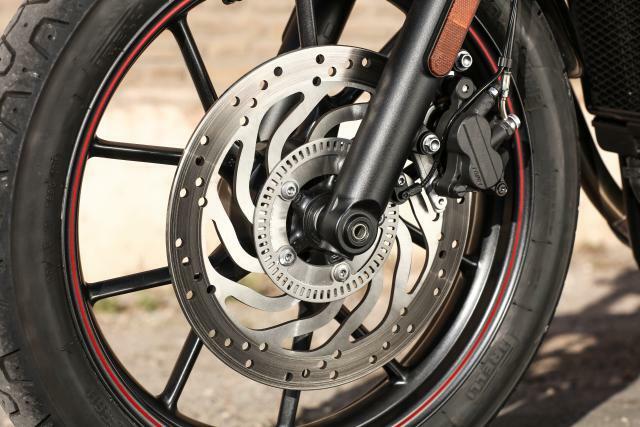 Secondly, there’s a slip assist clutch – it’s not a slipper clutch to help with down shifting but a system to give the bike a light clutch feel. 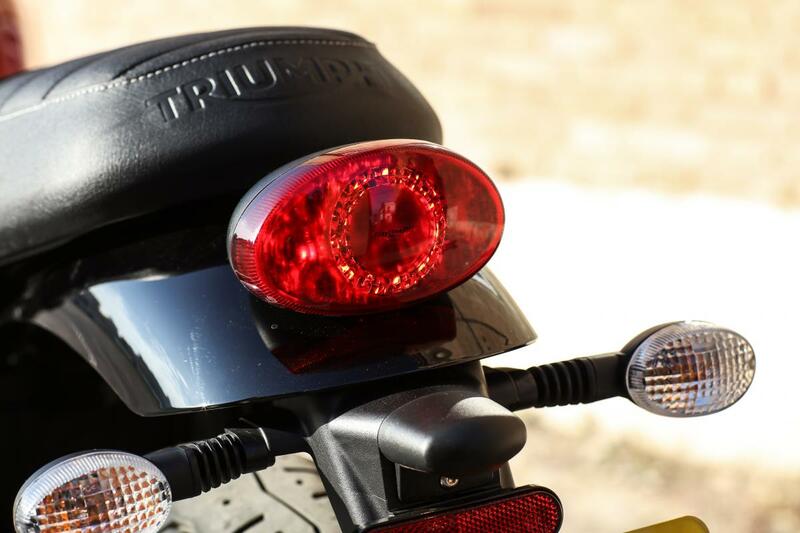 Although it felt fine, there wasn’t anything remarkably light about it. 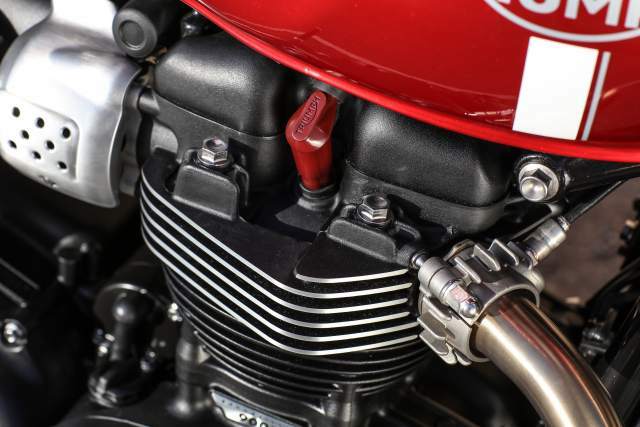 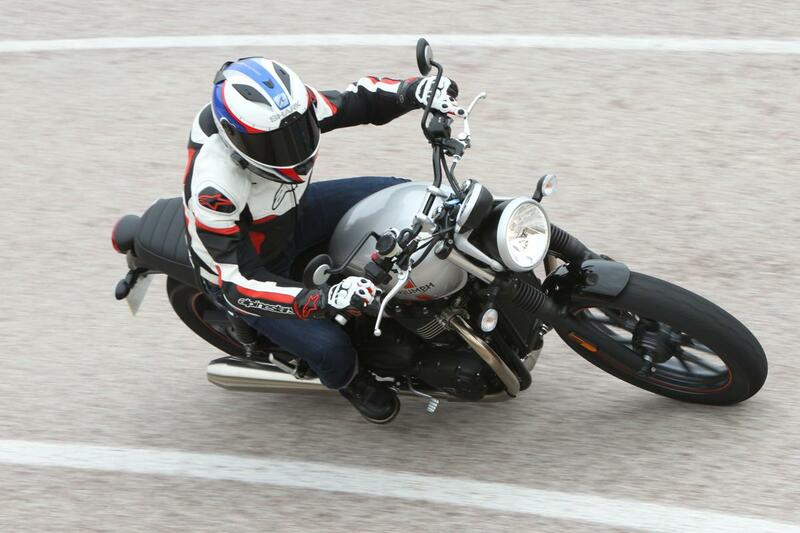 The front two-piston Nissin caliper has good bite and is well up to the task of getting the Street Twin stopped. 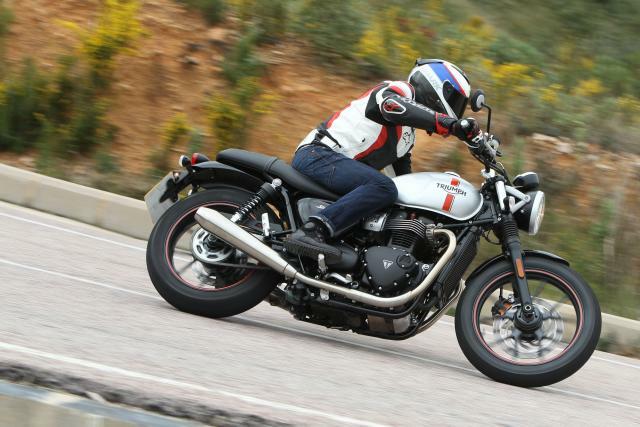 Most of the time it felt smooth and full of feel but there were two occasions when I brought the Street Twin to a stop very quickly and feel for what the pads were doing was replaced by what I can only describe as a gravelly feel through the lever as the pads bit harder. 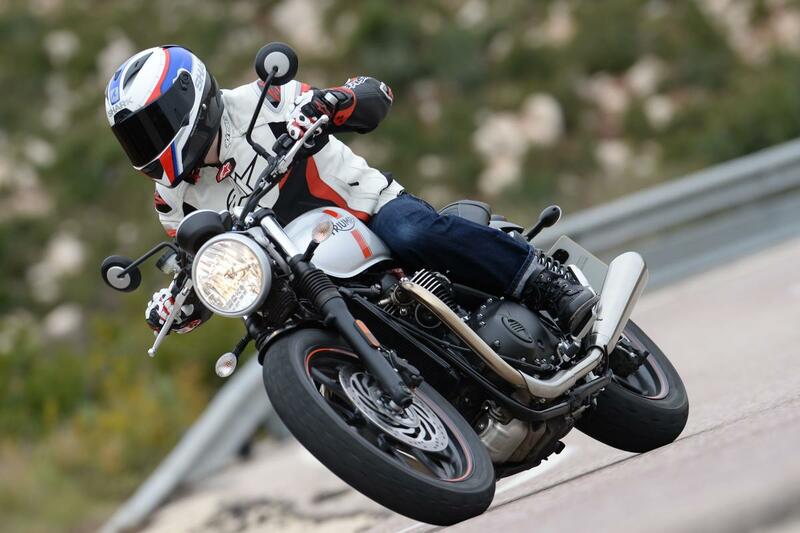 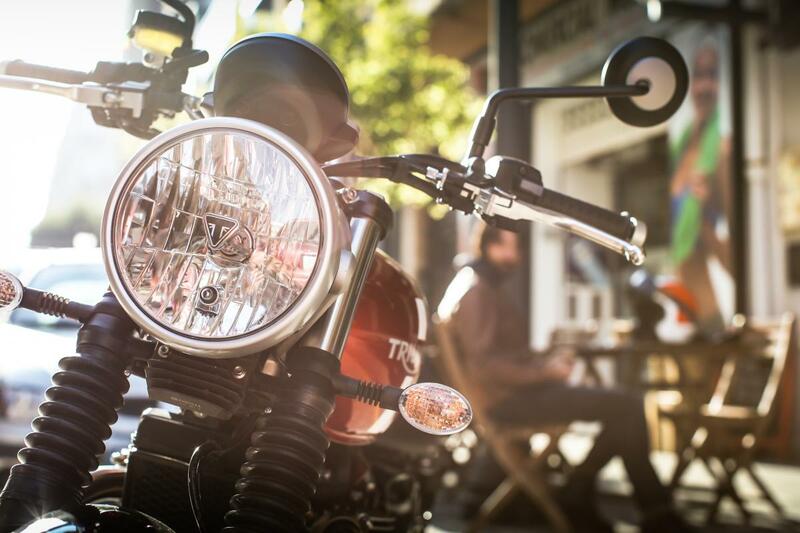 The Street Twin is fun to ride and easy get along with. 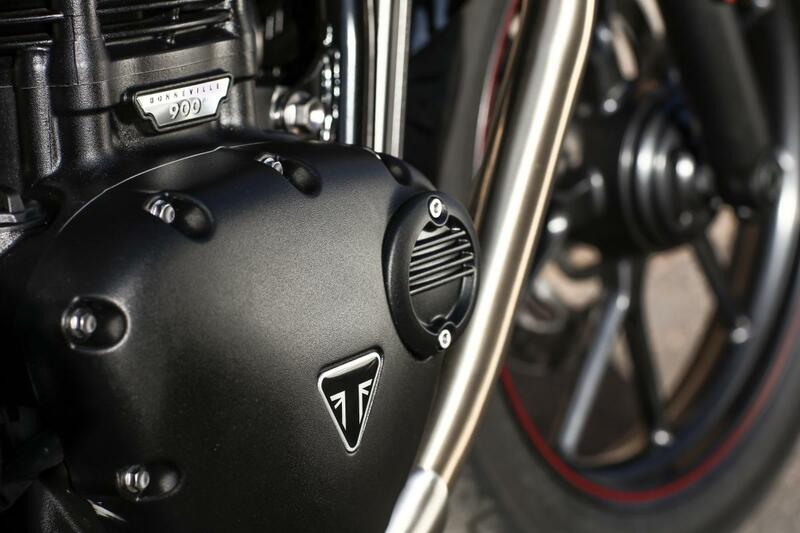 There's no doubt it'll draw attention for its stripped back looks and great sound. 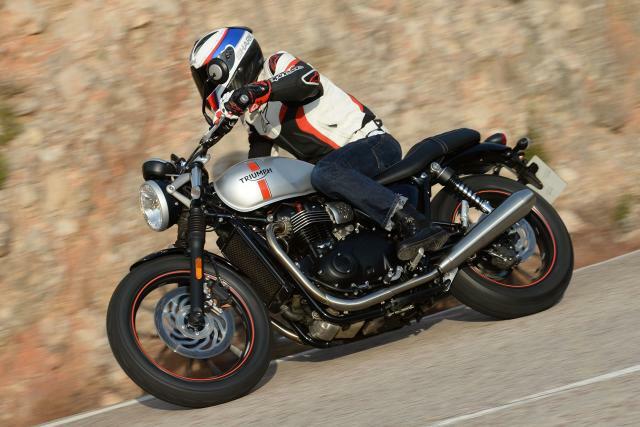 Its greatest asset is the way riding it is a rich experience that can be enjoyed on just a short run to the shops or a longer blast. 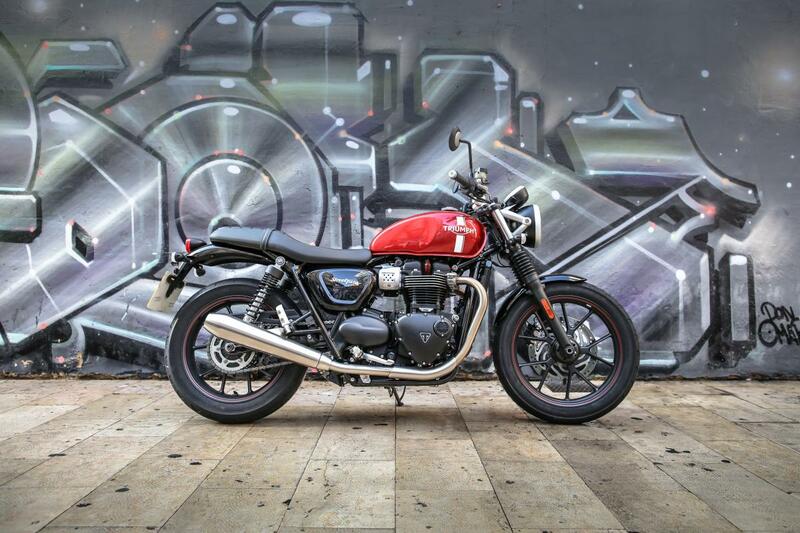 If you buy in to the heritage and retro things, then this is a bike with a name that comes with history that goes deeper than the marketing material or its competitors. 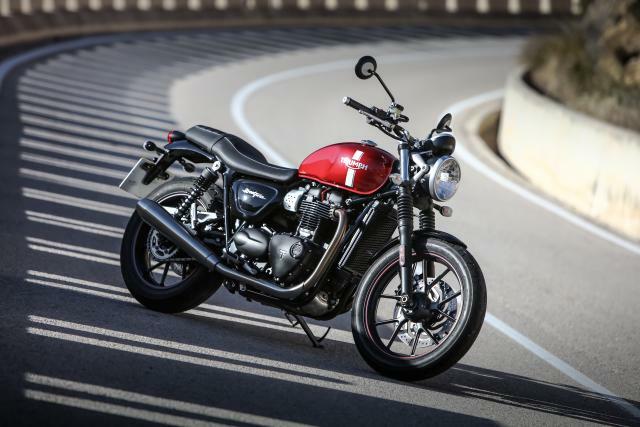 But then there's the price - it's expensive (not that that will stop it from selling) and for over £7k I'd want more power and less weight before I got my wallet out.